Ignition Replacement Milwaukee WI | Troubles Getting Your Car to Start? Need a Car Ignition Replacement? Car won’t start? This could be due to an electrical problem within the car ignition. Even if the car starts then dies within a few seconds, this situation usually means that you should change your ignition. Car ignition issues need a highly skilled technician because it contains many tiny items that need to be fixed. If the ignition is damaged in any way due to the incorrect ignition alterations, this could damage your car. Call an expert locksmith that specialized in ignition replacement or repairs today. How Does the Ignition System Work? The purpose of the ignition system is to create a spark to ignite the cylinder of an engine. This spark must happen at exactly the right time. If the timing of the spark is off by a small fraction of a second, the engine will run poorly or not run at all. The ignition system has two tasks to perform. First, it must create a voltage high enough to jump across the gap of a spark plug, thus creating a spark strong enough to ignite the air/fuel mixture for combustion. Second, it must control the timing of that the spark, so it occurs at the right time. What is Car Ignition Rekey? Are you experiencing issues with getting your ignition to work? In this situation, you may need to get your ignition changed. 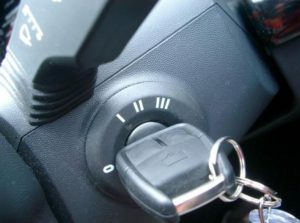 A Faulty ignition key can compromise your safety, which is why you will need to call a locksmith right away. Getting your ignition rekeyed helps with car theft or illegal use of your car. The most common reason that an ignition is rekeyed is that after an ignition replacement. If you get your ignition rekeyed you key will work for your ignition, but you will need a different key for the doors. However, you do have the option to get the doors rekeyed as well so one key will work for everything. This process will take longer but it is definitely an option. Can a locksmith rekey ignition cylinders? Yes. Ignition cylinders are just locks. An experienced locksmith can rekey an existing or new cylinder for a car’s ignition. Why Would I Rekey my Ignition? If there is an issue with your key being read by the cylinder of your car or an issue with the ignition switch you would need to call your local locksmith to rekey your system. Will a Locksmith Come to Me? 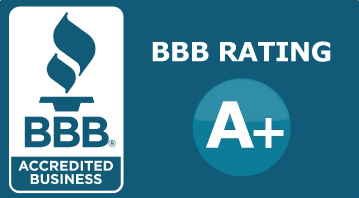 Milwaukee Lockstar has mobile technicians to deliver fast and helpful services wherever needed. Our locksmiths are available by appointment or immediate emergency service. Call us today at 414-939-8811 .